Sandhya Aneja is working as Assistant Professor in System Engineering at Faculty of Integrated Technologies, Universiti Brunei Darussalam (UBD). She joined Universiti Brunei Darussalam in April, 2016. She completed her Masters in Technology (M.Tech.) from IIT Delhi, India in 2002 and Ph.D from University of Delhi, India in 2011. 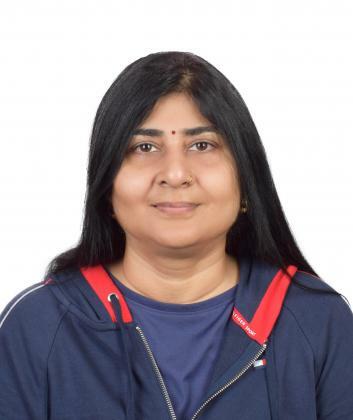 During her Masters, she worked on developing “Parallel algorithm for Non-linear Systems” for Super Computer PARAM 2000 developed by IIT Delhi. Her Ph.D. work is in securing routing protocols of Ad-Hoc Networks. Prior to Universiti Brunei Darussalm, she worked in Institute of Informatics and Communication (IIC), Delhi University, India. She has around 11 years of experience of teaching and guiding for research projects to under graduate and post graduate students at Delhi University, India. Currently, she is guiding three Ph.D. students on design of routing protocols and their security issues for Delay Tolerant Networks and Cognitive Radio Ad-hoc Networks. Two of her students have finished their publication work and are in process of writing PhD thesis. She has published around 30 papers on security issues of wireless networks. Her publications include, 12 Journal papers, 6 SCI indexed, and 19 Scopus indexed. Her Google-scholar H-index is 8 and has 166 citations. She also worked at UBD-IBM Centre of the Universiti Brunei Darussalam during 2013-2015. During her work span at the Centre, she worked on two research projects. First project was Flood Forecasting system for Blue Gene/P (BGP) Super Computer, and second was, Community and Grid Friendly Smart Homes (CGFH). During projects, she was involved in development and deployment of model at BG/P as well as equipment, software developed for CGFH. She has 5 publications from these two projects in area of High Performance Computing and Smart Homes. She has experience of working on software NS2, DTN One, DTN two and parallel computing technologies like OpenMP, MPI. Her primary areas of interest include Security of Wireless Networks, IoTs, High performance computing and Big Data Analytics. There are mainly two types of networks, one is Internet and other is Telecommunication network. IoT devices connects using one of these existing networks. Underlying networks are secure and thus now securing IoT devices end to end means extending the security mechanism where these devices connects. A solution for security where IoT device uses Internet is to be explored in the project. In, a peer-to-peer wireless network, there is no hierarchy among the devices. All the devices are equal and therefore are known as peers. Each device determines what data is to be shared on the network. In peer-to-peer network, each device functions as both a client and a server. How calls may be setup in such a network, is to be explored in this project. The things connected to Internet depends on the social behaviour of humans which are carrying and using them. Also, social behaviour of people determines the usage of devices and software required for those devices. Solutions to many services may be provided using SIoTs towards the goal of smart cities and smart nations. We aim to develop a framework for deployment of SIoTs over which applications may be written to communicate IoTs and can be used in real scenarios. 1.Security and privacy solutions for NoSQLdatastores, Sandhya Aneja and Nagender Aneja, Book Chapter, CRC Press, Taylor & Francis Group,UK. March 2017. 2. Seema Nagar, Sandhya Aneja, Harshad Khadilkar, Sampath Dechu, Zainul CharbiwalaI, SMOME: A framework for evaluating the costs and benefits of instrumentation in smart home systems, December 2016 IEEE International Conference on Smart Grid Communications (SmartGridComm). 3. Preeti Nagarath, Sandhya Aneja, Neelima Gupta, and Sanjay Madria, Protocols for Mitigating Blackhole Attacks in Delay Tolerant Networks, Journal of Wireless Networks (Springer), April 2015, impact factor=1.055 (SCI Index). 4. Preeti Nagarath, Sandhya Aneja and G. Purohit, Defending Flooding Attack in Delay Tolerant Networks, In IEEE International Conference on Information Networking, January 2015. 5. Seema Nagar, Sandhya Aneja, Harshad Khadilkar, Sampath Dechu, Zainul CharbiwalaI, A Framework for Evaluating the Costs and Benefits of Instrumentation in Smart Home Systems (short paper), The sixth International Conference on Future Energy Systems (ACM e-Energy) April 2015. 1. Sandhya Khurana, Neelima Gupta, ‘End-to-end protocol to secure ad hoc networks against wormhole attacks ’, Wiley Journal of Security AND Communication Networks, volume 4, issue 5, 2011 [SCI Index , impact factor=.806 ]. 2. Swati Singhal, Sandhya Aneja, Frank Liu, Lucas Villa Real, and Thomas George, IFM:A Scalable High Resolution Flood Modeling Framework , In international conference of Parallel Processing (Europar-2014), August 2014. 3. Preeti Nagarath, Sandhya Aneja, Neelima Gupta, and Sanjay Madria, Protocols for Mitigating Blackhole Attacks in Delay Tolerant Networks, Journal of Wireless Networks (Springer), April 2015, [SCI Index , impact factor=1.055 ] .